On the 20th anniversary of a Leeds postman's murder, police in West Yorkshire are urging people to help them trace the person responsible. Andrew Batten died in hospital from serious head injuries after being punched to the ground by a man as he waited in a queue at a taxi rank in Vicar Lane shortly before midnight on Friday, October 13, 1995. Detectives from West Yorkshire Police Homicide and Major Enquiry Team believe the answer to who killed him still lies in Leeds and are today making a renewed appeal to trace the person responsible. Mr Batten's sister Vanessa Batten, who lives in Canada, said: "There is someone out there that can bring closure to the surviving members of this family. "My brother was murdered a few days prior to our father's seventy-fifth birthday and he passed away in March 2014 heartbroken that there had been no closure or resolution to Andrew's murder. "My brother was never in trouble with the law, was dedicated to charities and respectful and courteous to everyone. He would willingly give the shirt off his back to help someone in need. "Although Andrew has an older brother and sister, in Scotland, he never got the chance to see his nephews graduate high school or college; see them marry or see each's daughter born; was never given the opportunity to get married himself or add to the grandparents inventory with his own heirs. "The people involved that night have enjoyed twenty years of life that Andrew was denied. Someone out there can solve this case for both West Yorkshire Police and my family.
" I am pleading for someone who knows who was involved to contact the police and give us the closure we need." The 42-year-old Royal Mail worker, who lived in Beeston, had gone out after finishing work earlier in the evening and was still wearing his work uniform. Described by friends as a "gentle giant", Andrew, who was 6ft and 17-stone, was found on the pavement by an ambulance crew after an anonymous call. He was taken to Leeds General Infirmary in a critical condition with a fractured skull and died in the early hours of Sunday, October 15, 1995. He was believed to have been punched by a man who was with a woman, thought to be his partner, in the taxi queue at the rear of the Victoria Quarter. The pair left the scene, crossing Vicar Lane and walking down George Street. 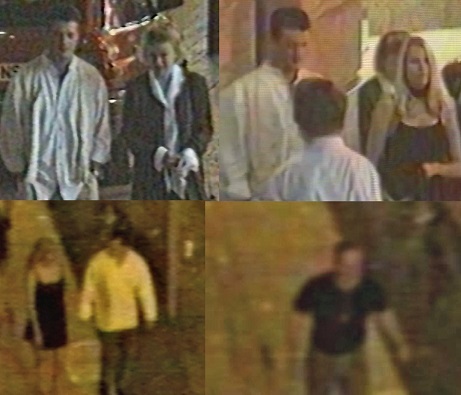 Following a review of the case, detectives have released CCTV images of three couples they want to trace in connection with the investigation. Detective Chief Inspector Jim Dunkerley, of West Yorkshire Police Homicide and Major Enquiry Team, said: "Although twenty years have passed since Andrew Batten was murdered, we believe that the answer of who was responsible probably still lies locally. "His sister's emotive comments clearly show the anguish his family are still going through and how desperately they need to get closure by seeing the person responsible for his death brought to justice. "We have been reviewing all the available evidence and are actively making enquiries to progress the investigation and identify the people involved. We are keen to trace the people shown in these CCTV images as they may have information that could assist the investigation. "Someone may regularly pass the point in Vicar Lane where Andrew was fatally assaulted and think about what happened that night. Twenty years is a long time and relationships and allegiances can alter over the years and maybe now someone will feel able to come forward and tell us what they know. "I would urge anyone who does know what happened to search their conscience and think about how Andrew's family are feeling, particularly at this time of the anniversary."